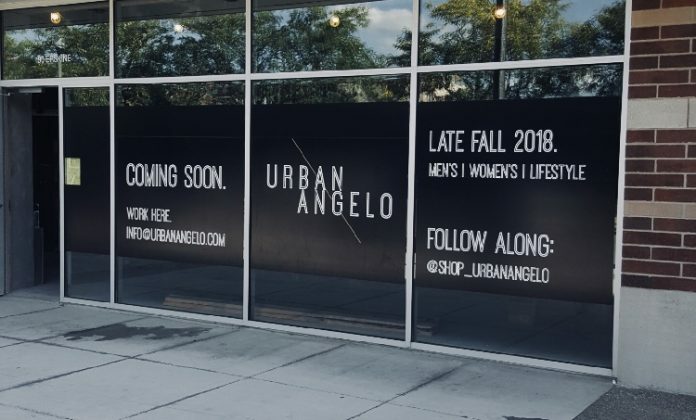 Urban Angelo, upcoming sister store to Capitol Park’s Bird Bee, will open in November at The Scott at Brush Park. The store will feature apparel and accessories for both men and women, drawing inspiration from monochromatic aesthetic, art, music, and street culture. The 1,500-square-foot store will be located at 90 Erskine St. and offer a cross between streetwear and contemporary fashion, as well as a curated selection of elevated basics, including denim, loungewear, and outerwear. Bird Bee owner and founder, Taylor Bolleber, initially created Urban Angelo as an online men’s store in October 2017. After testing out fashion and design concepts for the past year to perfect the Urban Angelo brand, she decided to add women’s clothing to reflect a modern, minimalist style, which contrasts with Bird Bee’s free-spirited fashion. Urban Angelo’s online store will re-launch on Thursday, Oct. 11. Bolleber is currently hiring full-time and part-time positions in preparation for the grand opening of the brick-and-mortar location. The Scott at Brush Park is a 199-unit, 200,000-square-foot, five-story mixed-use development at Woodward and Erskine.